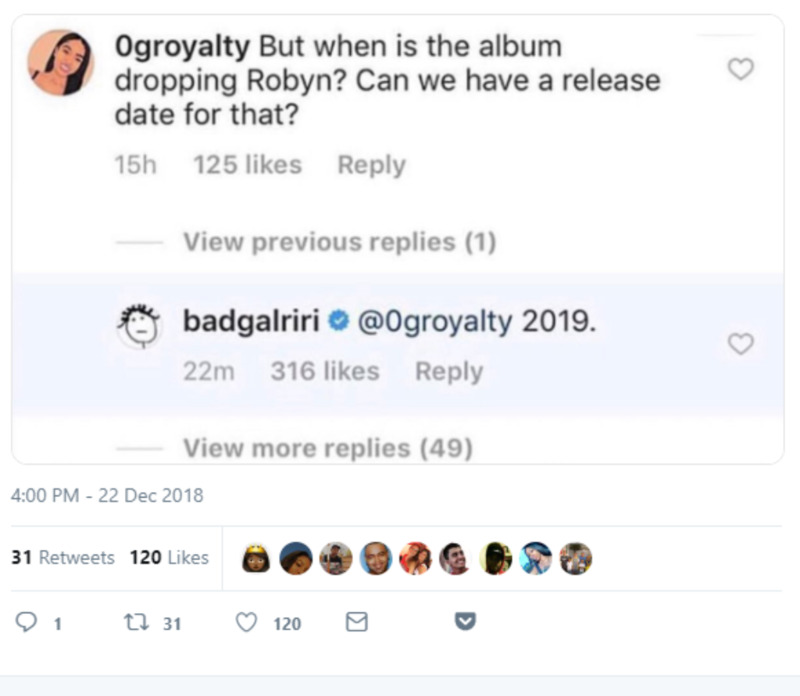 Rihanna has confirmed rumours that her new album will be releasing in 2019. 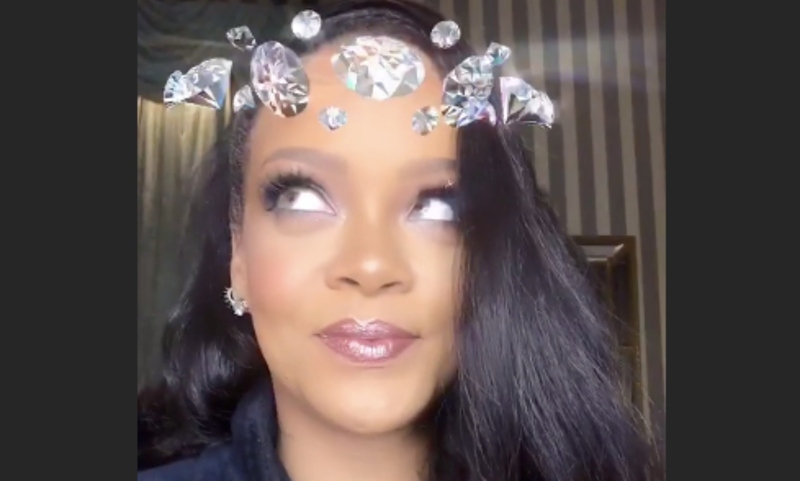 The "Kiss It Better" singer has been busy promoting new lip colours from her Fenty Beauty line and while fans are gladly giving away their coins for them, one fan asked a question that most have been asking for some time now. 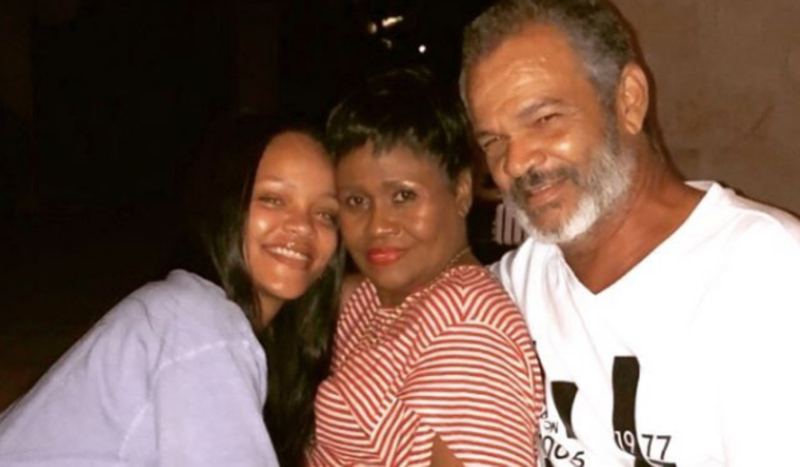 Riri also announced earlier this year, she was back in the studio. 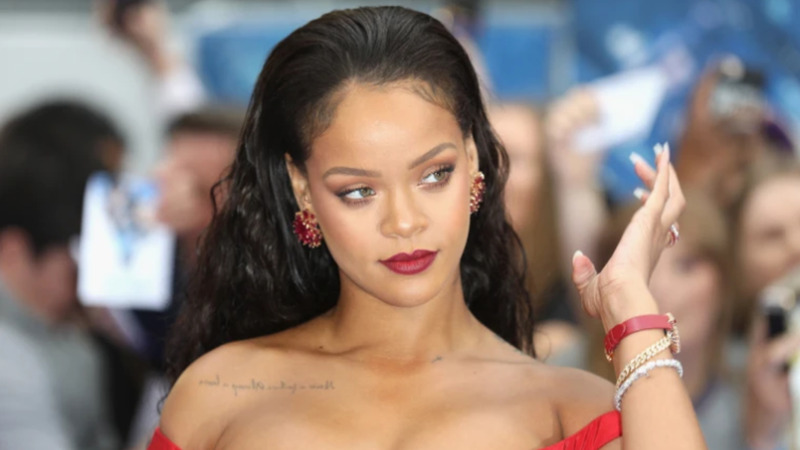 A July Rolling Stone article stated that Rihanna is currently sitting on over 500 different records from various Jamaican producers and songwriters, and each composition has been submitted for an album that is said to be a mix Caribbean dancehall music and reggae. R. City, Ricky Blaze, Stephen “Di Genius” McGregor, Skrill, Boi-1da and others have taken part in that effort’s sessions. “They’re only choosing 10 records. They’ve been having writing camps and trying to keep them quiet for almost a year and a half now. I’ve been flying to Miami, flying to L.A., cutting records nonstop for this project,” a source shared.